The electronic health (e-health) document framework could be a new usage that provides a lot of comfort in health care. The protection protects and safe the sensitive non-public document that is necessary for the users, these factors portrays major issues for any evolution of the framework. The searchable encoding (SE) plan is associate degree invented to merge, protect and kindly perform the operation works that is very important partof the e-health document design. In our current system, a replacement science rudimentary name is integrated keyword quest with designated scrutinizer and time permit locum re-encryption method is performed (RedtPECK), this theme is predicated on time and tester–dependent classifiable encoding strategy. Such strategy delegate patients protocols to access the document in restricted time countwhich is found within the native space and remote space. The time span period for delegate to look the E-health document and decipher the delegators E-health document is often known. Once the time span for accessing record is outlined or set, the delegate or patient or user provided the authority will directly access the info. Our scheme supports for forwarding keyword attack, thence solely authority tester is in a position to ascertain the doable keywords. Keywords : Searchable Encryption; Time Control;Integrated keywords Indices; Designated Tester; E-health,Offline Assume Keyword Attack. J. Leventhal, J. Cummins, P. Schwartz, D. Martin, W. Tierney. “Designing a system for patients controlling providers’ access to their electronic health records: organizational and technical challenges,” Journal of General Internal Medicine, vol. 30, no. 1, pp. 17-24, 2015. Google Inc. Google health vault. https://www.google.com/health. P. Liu, J. Wang, H. Ma, H. Nie, “Efficient Verifiable Public Key Encryption with Keyword Search Based on KPABE,” In Proc. 2014 Ninth International Conference on Broadband and Wireless Computing, Communication, and Applications (BWCCA), IEEE, pp.584-589, 2014. L. Fang, W. Susilo, C. Ge, J. Wang, “Public key encryption with keyword search secure against keyword guessing attacks without random oracle,” Information Sciences, vol. 238, pp. 221-241, 2013. Q. Tang, “Public key encryption schemes supporting equality test with authorization of different granularity,” International Journal of Applied Cryptography, vol. 2, no. 4, pp. 304-321, 2012. C. Hu, P. Liu, “An enhanced searchable public key encryption scheme with a designated tester and its extensions,” Journal of Computers, vol. 7, no. 3, pp. 716-723, 2012. H. Rhee, J. Park, D. Lee, “Generic construction of designated tester public-key encryption with keyword search,” Information Sciences, vol. 205, pp. 93-109, 2012. W. Yau, R. Phan, S. Heng, B. Goi, “Security models for delegated keyword searching within encrypted contents,” Journal of Internet Services and Applications, vol. 3, no. 2, pp. 233-241, 2012. K. Emura, A. Miyaji, K. Omote, “A timed-release proxy re-encryption scheme,” IEICE TRANSACTIONS on Fundamentals of Electronics, Communications and Computer Sciences, vol. 94, no. 8, pp. 1682-1695, 2011. J. Shao, Z. Cao, X. Liang, H. Lin, “Proxy re-encryption with keyword search,” Information Sciences, vol. 180, no. 13, pp. 2576-2587, 2010. W. Yau, R. Phan, S. Heng, B. Goi, “Proxy Re-encryption with Keyword Search: New Definitions and Algorithms,” in Proc. International Conferences on Security Technology, Disaster Recovery and Business Continuity, Jeju Island, Korea, Dec. 13-15, 2010, vol.122, pp. 149-160, Springer. J. Byun, H. Rhee, H. Park, D. Lee, “Off-line key-word guessing attacks on recent keyword search schemes over encrypted data,” in Proc. Third VLDB Workshop on Secure Data Management (SDM), Seoul, Korea, September 10-11, 2006, vol. 4165, pp. 75-83, Springer. D. Boneh, G. Di Crescenzo, R. Ostrovsky, G. Persiano, “Public key encryption with keyword search,” in Proc. EUROCRYPT, Interlaken, Switzerland, May 2-6, 2004, vol. 3027, pp. 506–522, Springer. R. Canetti, O. Goldreich, S. Halevi, “The Random Oracle Methodology,” Journal of the ACM, vol. 51, pp. 557- 594, 2004. 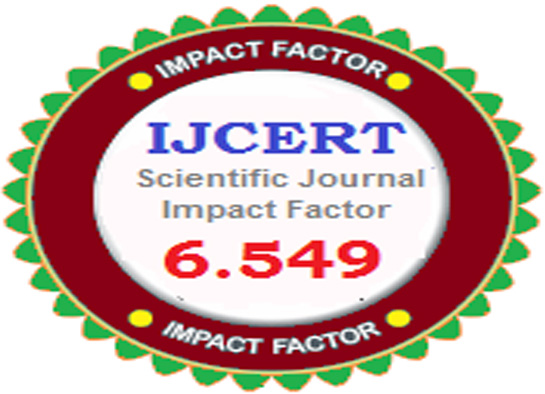 Sree Sai Rajesh C  , Syed Mohammed Nadeem  , Vajjala Revanth Kumar  and R.Varaprasad,” Cloud Supported Personal Health Records with Security and Audit ability.”International Journal of Computer Engineering in Research Trends., vol.1, no.4, pp. 230-234, 2014. G.Lucy, D.Jaya Narayana Reddy and R.Sandeep Kumar,” Enabling Fine-grained Multi-keyword Search Supporting Classified Sub-dictionaries over Encrypted Cloud Data.”International Journal of Computer Engineering in Research Trends., vol.2, no.12, pp. 919-923, 2015. Meghana A , Gaddam Gowthami , Mahendrakar Kavitha Bai  and  M.Srilakshmi,” Securing Personal Health Records in Cloud Utilizing Multi Authority Attribute Based Encryption.”International Journal of Computer Engineering in Research Trends., vol.1, no.4, pp. 214-219, 2014. PRAVEEN KUMAR and S.NAGA LAKSHMI,” Efficient Data Access Control for Multi-Authority Cloud Storage using CP-ABE..”International Journal of Computer Engineering in Research Trends., vol.2, no.12, pp. 1182-1187, 2015. Moulika Devi Vankala and G.P.S Prasanthi,” Analog and Digital PLL with Single Ended Ring VCO for “Full Swing Symmetrical Even Phase Outputs”..”International Journal of Computer Engineering in Research Trends., vol.3, no.8, pp. 441-446, 2016.